Registrations in Italy slipped 2.4 percent in February to 177,825, according to the country’s Ministry of Infrastructure and Transport. The month had the same number of selling days as February 2018. Demand from private customers rose 12 percent, the fourth consecutive monthly increase. Previous increases were 4.3 percent in January, 10 percent in December and 5.2 percent in November, according to market researcher Dataforce. Sales to private customers have risen by 16,000 units in two months, said Dataforce, helping sustain overall demand. It is too early to tell whether the recovery of private demand is solid or customers just pulled forward purchases to avoid a feared increase in taxes, said Salvatore Saladino, Dataforce’s country manager in Italy. 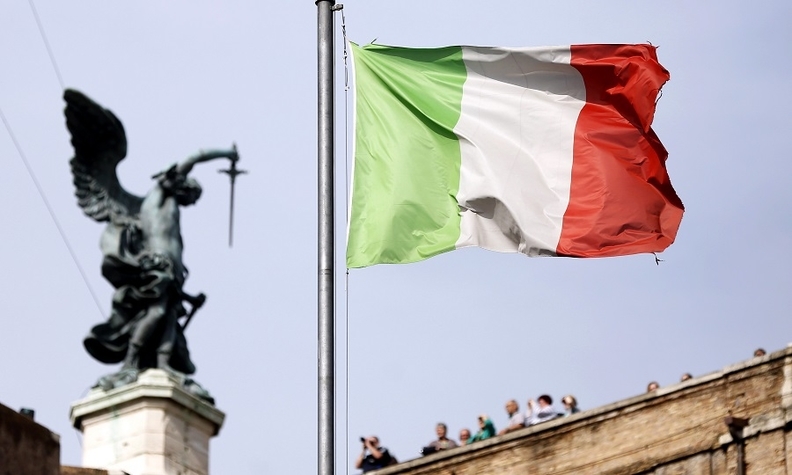 The 2019 Italian budget law introduced an additional purchase tax on vehicles emitting more than 160 g/km of carbon dioxide, while granting incentives to cars emitting up to 90 g/km of CO2. The tax kicked in March 1, while the incentive side has been delayed by the lack of an implementing decree. Sales to companies were up 11 percent. All other channels suffered declines, with registrations by short-term rental companies dropping 18 percent and sales to long-term rental businesses down 15 percent. Self-registrations by dealers and automakers fell 14 percent and 72 percent, respectively. According to the dealer association UNRAE, sales of diesel cars were down 23 percent to 80,215 with a 45.1 percent share of the Italian market, down from 56.4 percent in February 2018. Despite the decline, diesel was the best selling engine type after falling behind gasoline in January. Registrations of gasoline cars rose 29 percent to 75,764 for a 42.6 percent share, up from 31.9 percent in 2018. The market share for cars powered by liquefied petroleum gas rose slightly to 5.8 percent from 5.7 percent, while the market share for vehicles powered by compressed natural gas was stable at 1.1 percent. CNG vehicle registrations were down 54 percent, a slump attributed to a lack of available products, according to Dataforce. Hybrid electric cars took a 5.1 percent share, up from 3.4 percent. The plug-in hybrid share was up to 0.2 percent from 0.1 percent, while the share for battery electric cars remained at 0.1 percent. Paolo Scudieri, chairman of the industry association ANFIA, said the sales growth of low-emission vehicles has slowed so far this year as consumers wait for government incentives. Registrations for market leader Fiat Chrysler Automobiles were down 8 percent, with the flagship Fiat brand declining 18 percent. Jeep and Lancia posted healthy gains of 38 percent and 39 percent, respectively. Alfa Romeo registrations dropped 48 percent. Broken down by vehicle sales, the Stelvio SUV fell 24 percent, the Giulietta compact 41 percent and the midsize Giulia sedan more than 50 percent. Maserati sales declined 5.6 percent. PSA Group again topped foreign automakers in February with an overall 3.8 percent increase in registrations. Opel posted a 15 percent increase, thanks to sales of the Crossland X small crossover jumping 65 percent. Premium brand DS rose 20 percent, Citroen sales were stable with a 0.2 percent increase, and the Peugeot brand was down 1.9 percent. Within the Volkswagen Group, VW brand registrations slipped 2 percent and Skoda 3.7 percent. Seat sales rose 20 percent. Audi registrations were down 0.3 percent, while Porsche lost 22 percent. The VW T-Roc small crossover more than doubled sales, while sales of the Polo small hatchback increased 10 percent, making it the best-seller among non-FCA brands. Renault brand registrations slipped 0.4 percent, while sister brand Dacia declined 12 percent. Ford deliveries were down 11 percent. Sales of both major South Korean brands declined — Hyundai by 9.3 percent and sister brand Kia by 7.9 percent. Nissan's registrations plunged 29 percent, while Japanese rival Toyota was up 3.2 percent. Sales of BMW and Mercedes-Benz were both up — by 2.3 percent and 4.8 percent, respectively. Dataforce revised downward its forecast for 2019 sales in Italy to 1.86 million units, a 2.5 percent decline from 2018.